Safety is important in every industry. Whether you operate a restaurant, run a construction company, or manage an office, you want employees and yourself to be as safe as possible. Accidents that occur on the job are often preventable, and result in a loss of wellbeing for the employee and their coworkers, and a loss in morale and productivity for the company. While it’s encouraging to see the gradual downward trend in workplace accidents over the years, there’s still much to be vigilant about. Just as the jobs of workers in various industries vary dramatically, so too do the safety risks vary between industries. For example, an office manager concerned with safety might take steps to prevent injuries or illnesses that come as a result of spending too much time sitting in one position, and encourage exercise during off hours. A construction foreman might take steps to ensure workers steer clear of moving equipment. Likewise, a warehouse manager should make certain his or her pallet rack is safe. But what could make pallet rack unsafe in the first place? The first thing that comes to mind may be weakened components or overloading, and these would be great answers, but there is something less obvious: a lack of pallet rack safety clips. Pallet rack systems are often very large, and likely will be bearing a weight of several tons. Any vertical structure of this stature will pose a significant safety risk if the proper precautions and procedures are not followed. The most obvious threats to the safety of a pallet rack system are things such as damaged components, which can greatly reduce the strength and stability of pallet rack, and overloading of pallet rack, which can result in a number of potentially dangerous accidents. There is another safety risk, however, that’s a bit less obvious, and that is a lack of pallet rack safety clips. 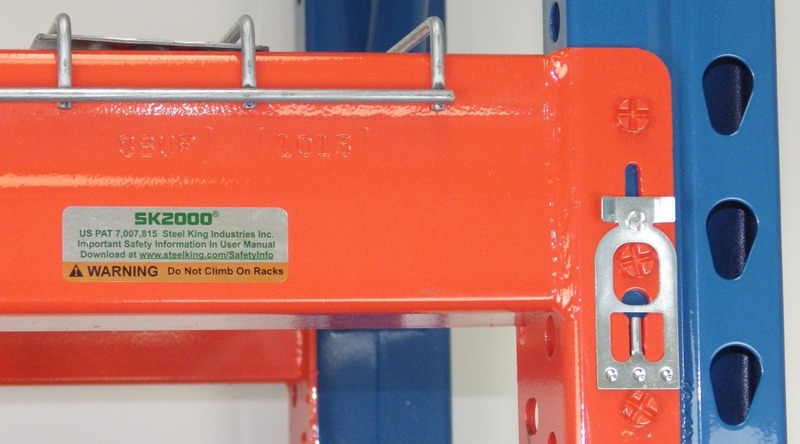 Safety clips serve a crucial purpose in pallet rack, keeping pallet rack beams engaged in upright frames. By doing so, safety clips effectively prevent forklift operators from accidentally knocking beams off of frames and having the load and beam come crashing down. Considering their low cost and ease of installation, purchasing and installing pallet rack clips for your warehouse is truly a no-brainer. Pallet rack safety clips are tough to find on the internet. There’s likely no way of knowing you’re buying the right clips for your system, and you’ll probably be unsure of who you’re actually buying from and if they’re a reputable source. Shelf-Clips.com, however, puts an end to these problems. 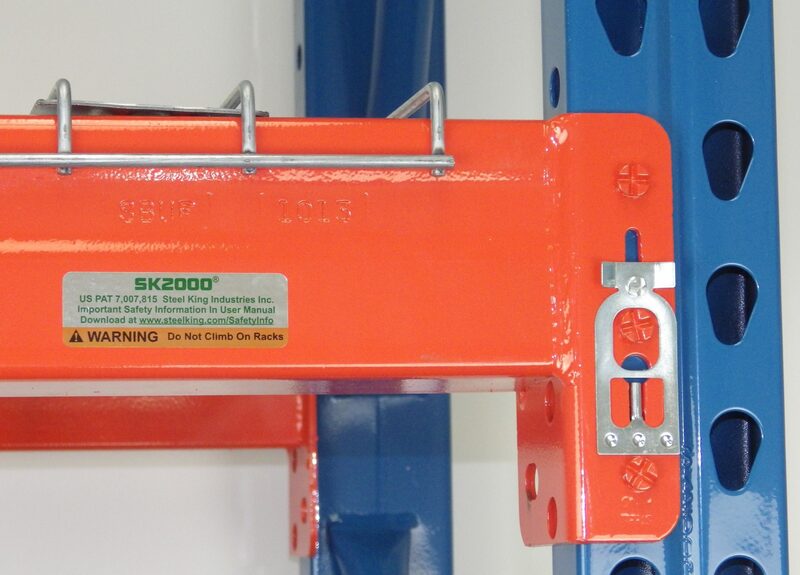 With an in-stock inventory of thousands of clips, 24-48 hour quick shipping, and fast, secure online ordering, Shelf-Clips.com is the premier source for the pallet rack safety clips you need. Order online, or call at 855-289-2547.